This is Part 2 in a four-part article. It will almost certainly reduce technician “lost time” at the parts counter. Most technicians, when asked, will estimate this lost time factor to be at least one hour per day. Any system which allows the reapplication of this time to more productive pursuits will result in higher productivity. The pre-pulling of parts should increase efficiency and accuracy of the parts picking and subsequent order filling. A significant contributor to this problem is the normal confusion associated with waiting on multiple technicians simultaneously. Pre-pulling would provide an opportunity for a more directed approach. 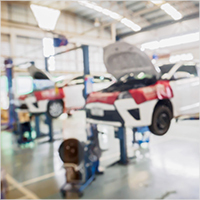 The successful accounting for the parts department inventory and creating a high fill rate is to a large degree dependent on very precise billing and crediting procedures. The pre-pulling of parts can ensure systematic and complete bill-out of appropriate parts and a more accurate usage database for inventory management. THE STARTING POINT for this entire process is the generation of a request for availability and pricing information and the production of a pick ticket. If this part of the system is not “dialed in”, the very real risk of failure is increased dramatically. A number of tools, from the very simple to the more complex, are available for use in this area. PROBABLY THE MOST common element historically used to trigger this process is a repair order “soft copy” forwarded to the parts department at write-up. The primary limitation is that this process is to some degree limited in its applicability to maintenance and simple repair operations. The second tool introduced to offset some of these problems is a technician “buck slip” or parts requisition. Typically, the technician completes his request in writing and leaves it at a central collection point to be handled in the order received. Most parts managers insist that the technicians not congregate around the counter awaiting disposition of their requests. This reduces noise, congestion and the resulting confusion and potential abuse of the system. SEVERAL MAJOR COMPUTER vendors have introduced, particularly with the use of a “paperless” repair order process, a system allowing both technicians and service salespeople to determine price and check availability during preparation of an estimate. This information can be converted to an order/pick ticket upon securing the customer’s approval. The technician can also be alerted that this approval has been secured and his parts ordered. The long-term impact of utilizing such an automated system may be that the shop parts counter, as we know it, may become a thing of the past. This might certainly be achieved through the use of an in-shop runner as discussed below. AS MOST MANAGERS will agree, the most likely source of problems with any system is the details. Some final thoughts regarding pre-pulling parts, while obvious to some, may help others avoid common pitfalls. Bill-out should take place when the part is pulled and no parts issued without bill-out. Core charges should always be included in initial bill-out and removed by issuing credit when returned and tagged. The use of some form of “pass through” bins or at least a designated pick-up point out of the normal traffic pattern will reduce congestion. Some vehicles may lend themselves to the use of pre-packaged maintenance parts kits, further streamlining the process. This technique may also allow the control of parts pricing, similar to setting of labor amounts, through the use of service operation codes. AS WITH ANY plan or system, pre-pulling parts is largely dependent upon the participants understanding the procedure and following it. Any deviation should result in an immediate review to determine the reason this action was taken. Continued next week in Part 3!